It’s been 14 years since the first Incredibles gave us Pixar’s family centered take on the superhero genre. 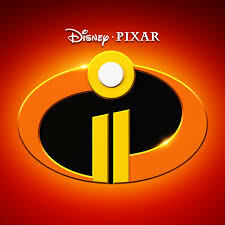 Director Brad Bird is back at the helm for the sequel and the characters pick up right where they left off. Claire takes this opportunity to talk about the development of the nuclear family in western culture, and the promotion of it during the cold war. Kyle describes how a young boy from Montana lucked out by meeting a giant from Disney’s golden age. He also considers and counters the idea that Bird’s films support a Randian philosophy. Our hosts conclude with their thoughts on the movie, the ideas behind it, and how the character’s powers reflect who they are.